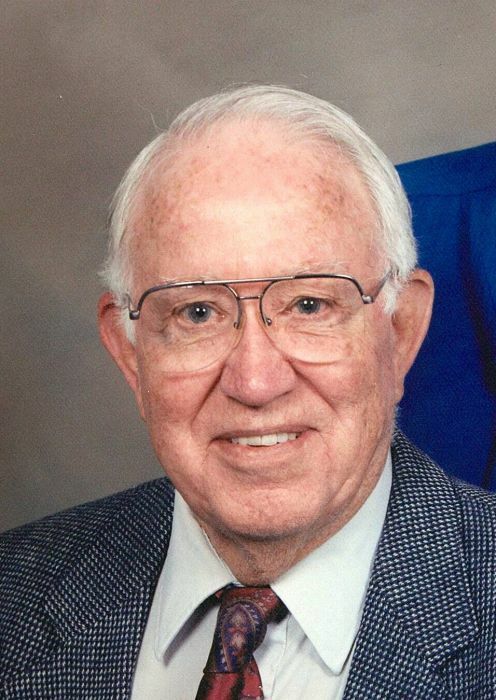 Graveside services for Laurence Grayson Moody, 95, of Edgewood, are scheduled for 9:00 AM, April 19, 2019, at DFW National Cemetery in Dallas with Dr. Rick Davis officiating. Services are under the direction of Hiett’s LyBrand Funeral Home. A memorial service will follow at First Baptist Church Midlothian at 11:00 AM. Grayson passed away Thursday, April 11, 2019, in Tyler, Texas at Watkins-Logan Texas State Veterans Home. Laurence Grayson Moody was born on February 16, 1924, in Baxley, Georgia, to parents, Otto Moody and Lillie Bennett Moody. He grew up in Baxley and graduated from Baxley High School. Shortly after, he enlisted in the United States Navy in June of 1941 and served until February 1947. As Radioman First Class, he was assigned to an admiral serving on seven different Naval vessels including, The USS Chester, USS Rigel, USS Honolulu, USS Trousdale, USS Curtiss, USS Minneapolis, and The USS Samuel N. Moore. Throughout WWII, he was directly involved in 12 major battles in the South Pacific, including The Battle of Guadalcanal. As a result of his service, Grayson was awarded The Asiatic-Pacific Area Medal with 10 stars, The American Defense Medal, The Good Conduct Medal, American Area Medal, The Philippine-Liberation Area Medal with 2 stars, and The Victory Medal. After his time in the military, Grayson graduated from Mercer University with a four-year degree. He also obtained a Bachelor’s of Theology from Southern Baptist Theological Seminary in 1954. He married Loretta (Reta) Todd on December 30, 1957. Grayson later was awarded two Honorary Doctorate degrees in Theology and Divinity. He was employed by the Dallas Morning News for thirty-six years in production and was very instrumental in converting the newspaper to computerized production before retiring in 1992. The Moodys reared their children in Duncanville, Texas and moved to Edgewood in 1996. They were members of First Baptist Church of Edgewood and later Seven Oaks Baptist Church. He is preceded in death by his wife, Loretta Moody; parents, Lillie and Otto Moody; son, Kevin Todd Moody; five brothers and one sister. Grayson is survived by his sons, Larry Moody and wife, Deborah Claybrook Moody of Dallas, TX and Michael Moody and wife, Deena of Midlothian, TX; daughters, Becky Maloy and husband, Danny of Dallas, GA and Carla Guthrie and husband, Scott of Edgewood, TX; seven granddaughters and one grandson; seven great grandsons and three great granddaughters.